Being that I read just about everything and anything I can get my hands on, I will often switch between reading four or five books at once. Now if I could just master reading multiple books at the exact same time, that would increase the amount of books I could read exponentially, but alas, I don’t have the brain for that (yet). Usually, I’ll have one book going on my eReader in my bag, tucked away for emergencies like unexpectedly waiting in a doc’s office or a VERY long grocery line, and then I’ll have one or two books set aside at work that I usually pick between for my lunch break depending on my mood, and then I’ll have one on my nightstand by my bed, and there might well be one tucked away somewhere amongst my bookshelf books that still has a bookmark stuck in it. 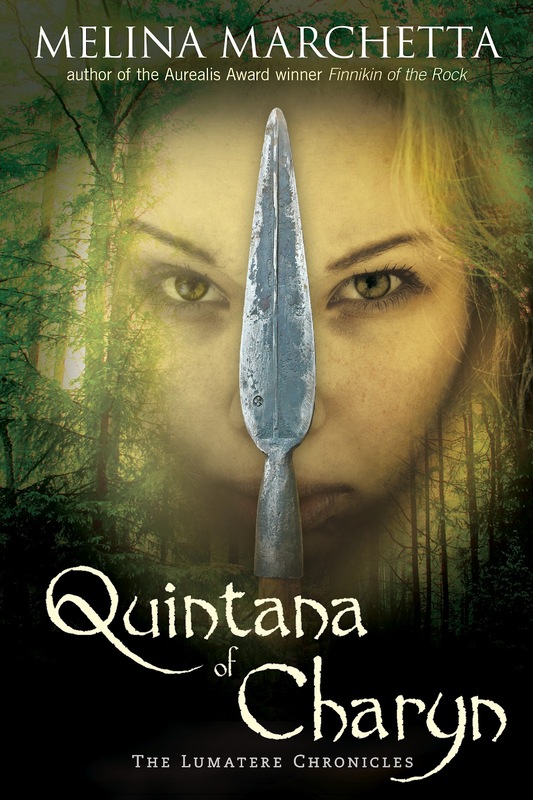 Well just a couple days ago I finally finished one of the books I had kept to the side at work, Quintana of Charyn, last book in the Chronicles of Lumatere Trilogy, and a book trilogy that I highly recommend–again. I’ve recommended it before, but I seriously think it’s an underrated gem of YA fiction. Granted, YA fiction has EXPLODED in recent years, and that seems to be where some of the money is (I don’t think it’ll ever change that romance and crime fiction are the biggest sellers) if you’re lucky enough (film deals, etc.). So obviously there are far more underrated gems than just this one, (Watersmeet I also highly recommend). That said, it’s very different from most of the medieval fantasy YA fiction I see lately. It has a gritty realism that feels more like a historical YA fiction story with some suggested magic thrown in based on the beliefs of the characters in the story, rather than anything tangible. Very spiritual, go-on-faith stuff. It’s very different from most YA fiction that I’ve read, which is why it stands out to me. I guess my only complaint with the book would be that at times I thought it was a bit melodramatic, which is saying a lot for me, since I LOVE anything that’ll engage my emotions, be it moving fiction or captivating non-fiction that makes me question my significance in the universe (Amir D. Aczel’s Present at the Creation had that effect on me, ME, who thought she would never in a million years pick up a book about the LHC at C.E.R.N.). BUT there were times where I wanted to smack characters I otherwise liked because they were being…overly stubborn. And without giving anything away, let me just say that as much as I love a well-written, strong female character with a reasonable stubborn streak, when it gets to the point where she’s making decisions that, despite her understandable anger, are just…well…stupid, frankly, it makes me wince. From personal experience, I know that blame and anger can distort the truth and perspectives for someone, but nevertheless, in the case of this character,I felt she was a bit of an infuriating hypocrite who at times acted more like a child than a queen. I’ll leave it at that, because I can forgive the fact that she makes up one half of one of my most favorite literary couples. And again, she’s only human. As all of these characters are, and no one is exclusively evil or good. Some swing closer to one of the spectrum than others, but there is no real villain in these books (okay, maybe that one S.O.B. ), and again, we don’t get to see a whole of that in YA fiction of this genre. I’ve mentioned it before, but I mention it here again because it’s definitely worth mentioning.